The target down for minor wave 1 to end was at 16.26 in last analysis, after a small fourth wave correction. Downwards movement reached 16.45, 0.19 short of the target. Minuette wave (iv) unfolded as expected, and was followed by one final downwards wave as expected. I would expect minor wave 2 to last a few weeks. It may last a Fibonacci 13 or 21 sessions. It may end about the 0.382 or 0.618 Fibonacci ratio of minor wave 1, with the 0.618 ratio slightly favoured as this is a second wave correction. However, if GDX follows Gold then minor wave 2 could be more brief and shallow, and may end in just one more day. Alternatively, minute wave a within minor wave 2 could end in just one more day, and minute wave c upwards to complete it may correspond with an upward correction for Gold. 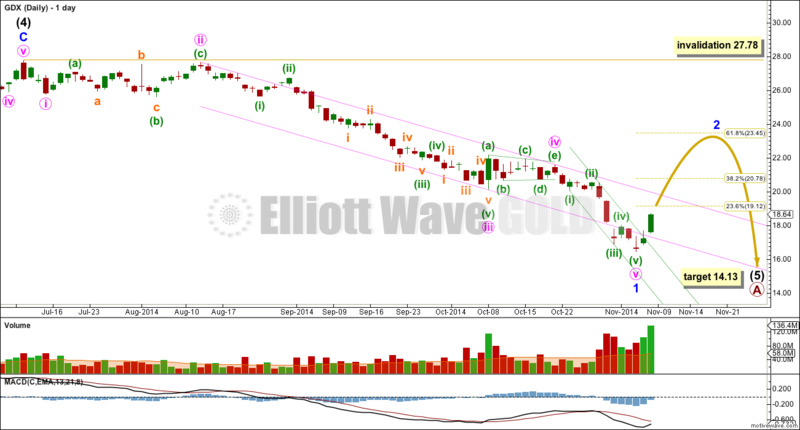 I would rather let the wave count for Gold lead the wave count for GDX, as Gold has more typical looking Elliott wave structures and for Gold I am able to check subdivisions on lower time frames. The data for GDX does not allow me to see any time frame below daily. Minor wave 2 may be any one of several possible corrective structures. It is most likely to be a zigzag. It may also be a flat, double flat or combination. These structures may include a new low below its start as in an expanded flat or combination. The long term target remains the same. At 14.13 intermediate wave (5) would reach equality in length with intermediate wave (1). Intermediate wave (5) should last several more weeks. 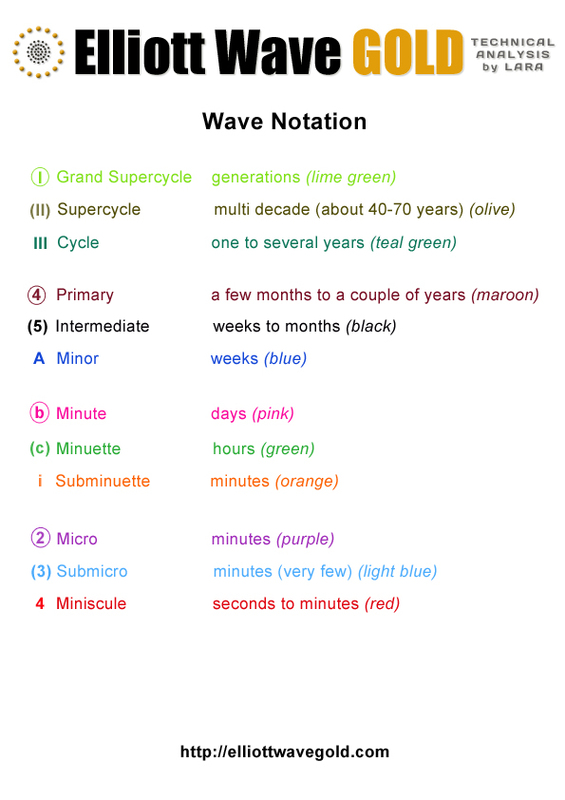 It is already longer in duration that intermediate wave (1). 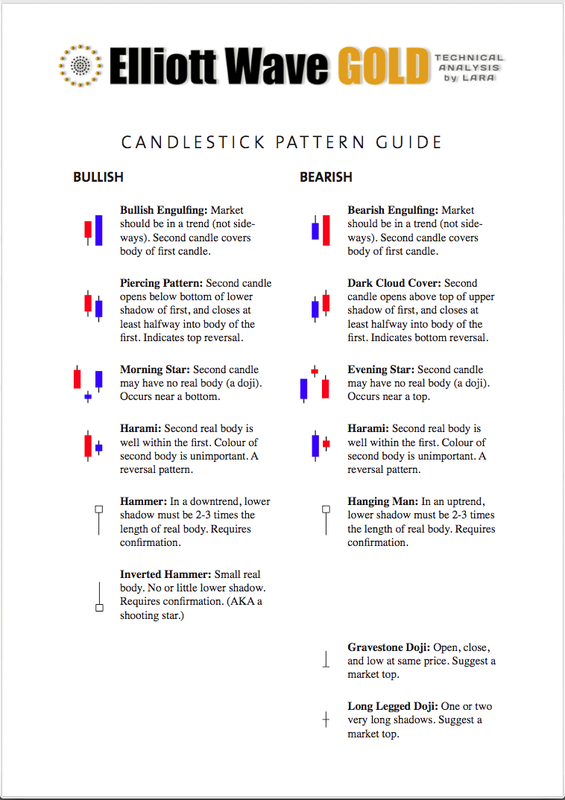 I will be publishing charts for Silver and GDX today or tomorrow. Wanted to see if you can update the weekly GDX analysis. Thanks.